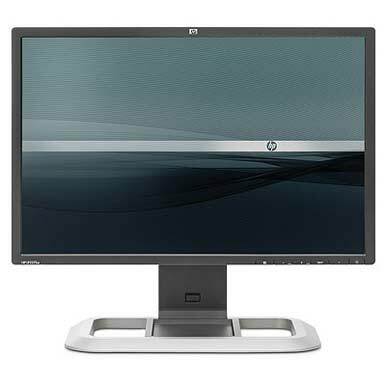 When it comes to readable documents and vivid images, the HP LP2275w offers a solid, no-frills display that would make a good choice for users seeking a widescreen monitor that delivers the best of both worlds. At $349, it is priced slightly higher than other 22-inch displays, but its image quality would be worth the cost. During subjective evaluations in our lab, the LP2275w showed sharp, easy-to-read text on our test screen of different-sized fonts. It also performed well in our color tests: When showing a photo of fruit, the monitor displayed bright, realistic colors. How we tested: We connected the display to a 2GHz Mac mini with 1GB of RAM running Mac OS X 10.5.6 to make sure that it properly recognized by the Mac OS and then used a series of screens to look for light leakage as well as dead and stuck pixels. We then connect the display to an WindowsXP PC with an EVGA 7950GX2 1GB PCIX Quad SLI graphics adapter. We note the performance of the display with its default, out-of-the-box settings and then calibrated it to 6,500 Kelvin with a gamma of 2.2, using a Gretag Macbeth Eye-One Display 2 colorimeter. A group of jurors rated each display as Superior, Very Good, Good, Fair, or Poor while evaluating a number of on-screen images for color, text, motion and screen uniformity compared with a sampling of similar displays.— testing by Jeff Kuta, Kalpana Ettenson, and James Galbraith. Some screens in our tests showed a rather high contrast, however. HP states that the display has a contrast ratio of 1000:1, but the contrast we saw seemed a bit extreme. In a few screens, the overblown contrast between the white background and objects in a portrait looked downright unrealistic. It almost looked as if the figures in the picture had been pasted in with Photoshop. We were able to fix the contrast using the display's controls. The LP2275w is a nice display with a clean design. It offers smooth tilt and swivel adjustments, and can pivot as well. It omits an HDMI port, but does include a DVI port and a DisplayPort (HP includes VGA to DVI adapter cable). One upstream and four downstream USB ports are situated at the rear of the display. It doesn't have a lot of features, but for users seeking a general purpose monitor on which to get basic tasks done, the LP2275w certainly should fit the bill.